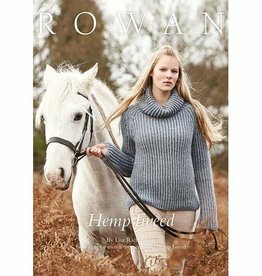 Rowan Hemp Tweed is an all-season, light worsted blend of 75% wool and 25% hemp. The hemp fibre breaths and softens with age without stretching. The contrast between the fibres gives this soft yarn a rustic texture that works well with both traditional and modern styling. This collection features 14 knitting patterns for him and her showcasing detailed cables and classic colorwork for the intermediate to expert knitter. 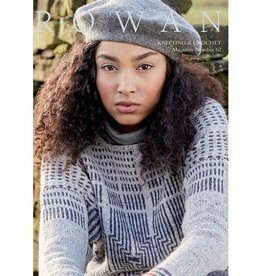 Rowan Magazine 62 is a well curated collection of 41 knit & crochet patterns for women using popular Rowan yarns such as Kidsilk Haze and Felted Tweed. 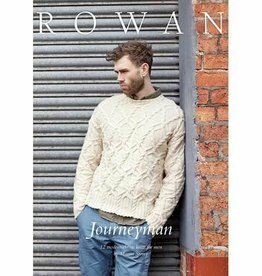 Journeyman from Rowan features 12 knitting patterns designed by Martin Storey with the modern man in mind. If you love cables, you will love this collection!